Ladbrokes Coral chief customer officer Kristof Fahy is to leave the bookmaker at the end of September, 11 months after it was formed from the merger of Ladbrokes and Gala Coral. 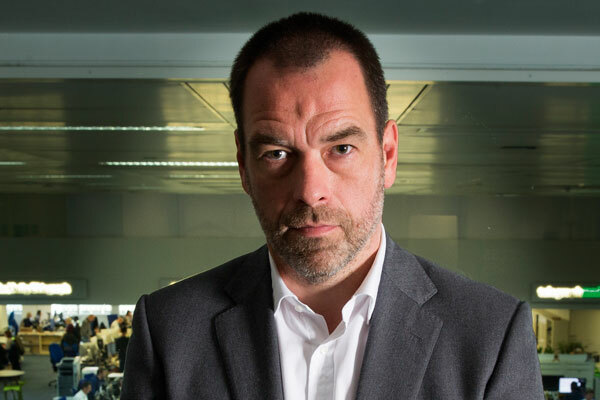 Fahy (above) was named chief customer officer of the combined company following the merger, having joined Ladbrokes last January as chief marketing officer after a short stint as chief marketing officer at Telegraph Media Group. A spokesman for Ladbrokes Coral said Fahy had left entirely of his own accord, that the company was "sad to see him go", and that he would not be directly replaced – a decision that was made after Fahy chose to leave. Fahy told Campaign that, with the integration of the marketing functions at Ladbrokes and Coral now completed, this felt like a logical moment for him to look for a new opportunity. "It’s one of those nice times," Fahy said. "It’s reached a good natural conclusion in a positive way. The process of integration has been really good, I’ve learned a lot." Fahy said he was not looking to take a break from work, but would consider any job offers carefully before accepting. He said he would be open to working in a range of sectors, and would consider another role in gambling; he previously spent five years as chief marketing officer at William Hill. "I’ve always been about, what’s the opportunity – what does the company or business want to do, and what can I bring to that that it doesn’t have already?" he said. He was attracted to companies that "want to change", he added, whether that meant a digital transformation, or a process of becoming more consumer-centric.